Change Navigation Voice In Android:–Google Maps would have now become the part and parcel of your travels and navigation. It really feels good when you are taught about the ways by a voice based software rather than a text based one. This is the same voice that speaks to you when you give your speech input on long pressing the home button in your Samsung phones. But other than going by its words and speech, have you ever wondered on how to change the voice they speak in your android device?Lets give a try on how it would feel. This doesn’t require the installation of any third party apps on your device.You can change it even without internet. How to Change Voice For Navigation? Go to the Settings page by swiping down from the top of your android device and pressing on the gear shaped button. 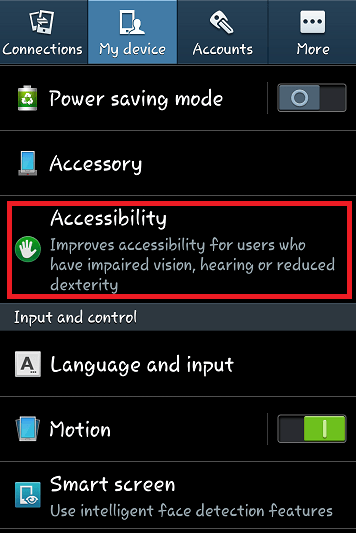 Go to the Accessibility option available under them or Under the My device option depending on the type of phone you use. Scroll down a little and you will find under the title names Vision, an option denoting Text to Speech options.Tap on it. You will find that the Preferred engine will be that of your phone’s. Click on the gear button available next to it. 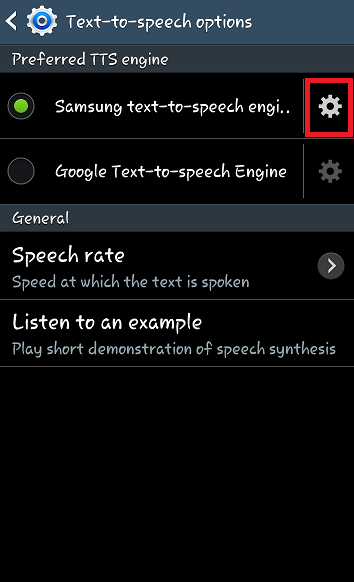 Click on the option named Language where you can change the style of speech used for the navigation purposes. 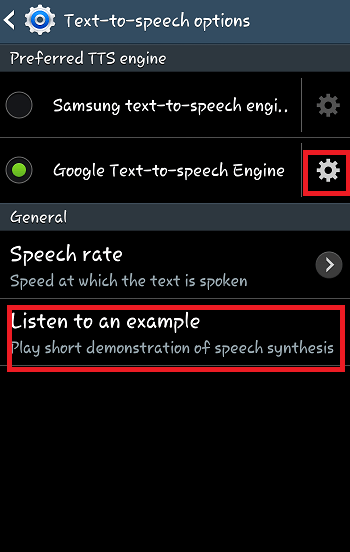 Now,go back to the previous page and select the gear button next to Google Text to Speech Engine. The greyed up options now lightens up. Click on Listen to Example to see the present type of speech. 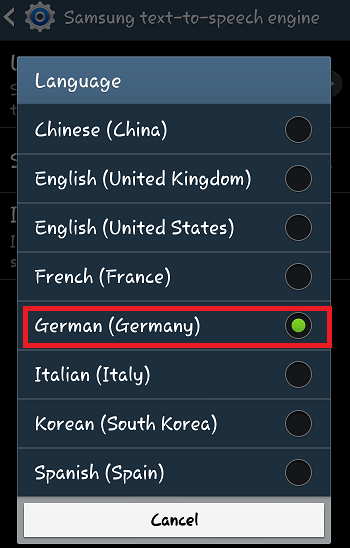 Click on the Language option whereby you will be able to find even more types of Native Languages like Hindi,Thai,Turkish etc. The voice and style of speech changes for each. Tap on the language of your choice. 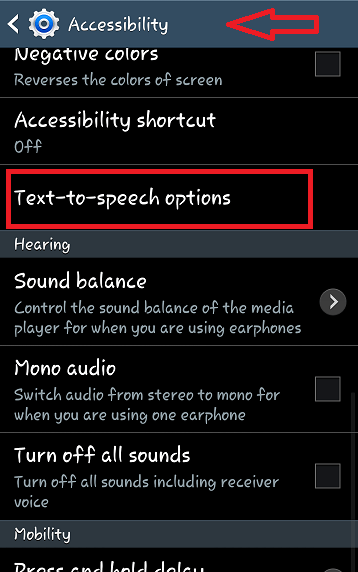 Go back to previous page and again press on the Listen to Example option to enjoy your newly available voice. Do try out the different versions of them for a nice little change.